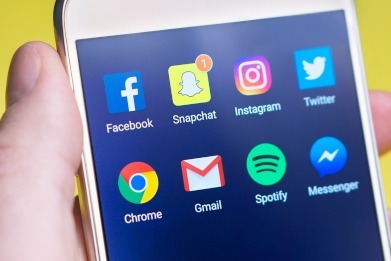 Accounting software provider MYOB has found that small businesses have been slow to realise the potential of social media, however those who do use it are reaping the benefits. Yesterday, MYOB released the results of its latest Business Monitor survey which found that only 22 per cent of the more than 1,000 Australian SME respondents have a social media presence. However, those who do use social media reported that it led to more enquiries, with 50 per cent saying it made doing business easier and 54 per cent saying it allowed more interaction with customers. Interestingly, the research found that micro businesses led with way ahead of small, medium and sole traders, with 27 per cent having a business page on social media. MYOB CEO Tim Reed said that social media use is something that that is correlated to the generation of the business owner. “If you look across small business owners, they range right through from Baby Boomers through to millennials, but often we get into a set way of doing things and business owners are exactly the same,” he said. Mr Reed said that while the older generations are becoming more active on social media on a personal level, many are yet to pursue it for business purposes. “Even though we have seen all generations of Australians start to be more active in social media, I think there's a bit of a lag there behind the small business owners realising that that is actually a new way for them to really develop a deeper level of engagement and more loyalty from their customers and that translating into actual actions and behaviour,” he said. Mr Reed also highlighted a shift in consumer behaviour, whereby they now want to understand “more holistically” about the people that they're doing business with. “They don’t just want to know product information, they want to understand what the company stands for, who's behind it, they want a slightly more personalised engagement and they make spending decisions on a broader set of criteria than what they would've a decade or two ago,” he said.